Heat is what releases those psychoactive ingredients contained in weed, so if you want to start – or end – your day on a high note, decarboxylation is the method you should use before adding pot to your pot of coffee! So, to make that creaming cuppa canna coffee this is what you’ll have to do. While waiting for the oven to preheat, grind your weed to the same texture as tobacco. A coffee grinder gets the job done in about five seconds. Now place the weed in a baking dish, not too shallow, and cover it with aluminium foil – heavyweight is recommended. However, if you are using lightweight foil, reduce the time the weed spends in the oven. Keep an eye on the prize – your weed must only be lightly toasted. This will ensure that the THC content in your weed has been fully activated. Baking periods will vary depending on the amount of weed you aredecarboxylating. If you don’t have a coffee grinder, then you can also use a herb grinder for up to 7 grams of weed. But don’t overdo this process because the last thing you want is for your weed to end up in powder-form. If you have neither, crush the weed in a pestle and mortar. If you don’t have one of those either, be inventive! Baking times will vary because that also depends on the weed’s moisture content. This process usually takes about an hour. Once lightly toasted, switch off the oven and leave your weed in its foil blanket inside the oven until it has completely cooled. Your weed can now be used for marijuana butter or oil, for tinctures, for munchie treats or for drinks such as canna coffee. PS: I suggest you make big batches in one go, as decarboxylated weed will keep fresh for months in any sealed container. And now for that coffee! What would life be without a cuppa canna coffee? Here is a simple recipe. If you haven’t had time to decarboxylate your weed, add to the water and allow to boil for 40 minutes to release the THC and CBD cannabinoids, stirring frequently. Strain the mixture to remove plant-matter and add coffee to the strained water. Milk can be added, as well as a pinch of nutmeg or cinnamon. 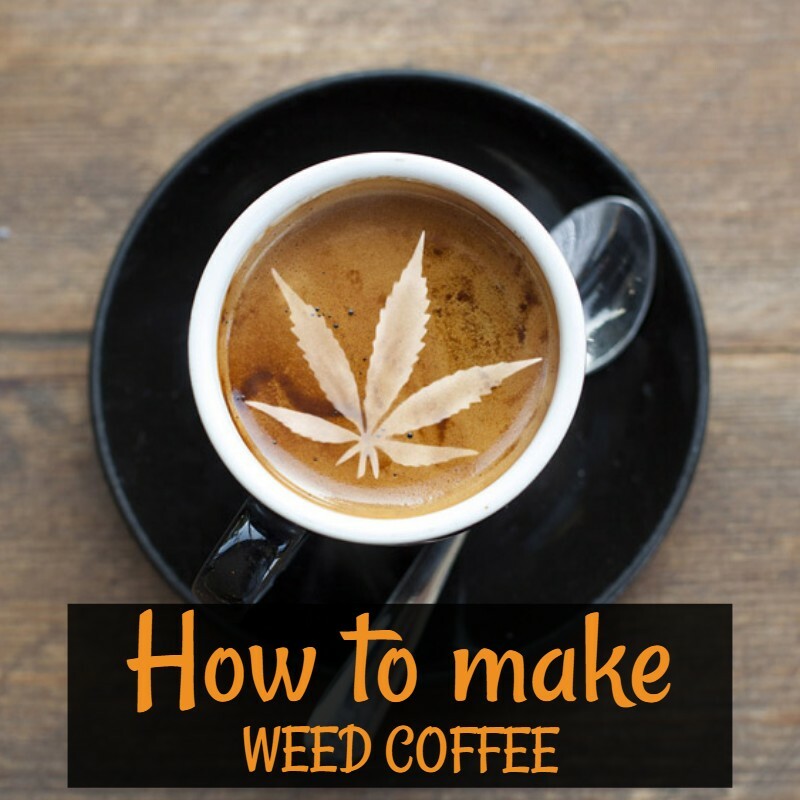 This is a healthy cannabis-infused coffee that’s not only easy on the digestive system but also vegan and paleo-friendly. This is a low-acid coffee that requires you to make a cold coffee concentrate. Add boiling water to the ground coffee beans, add the butter or coconut oil and after four minutes of brewing it’s ready to serve.